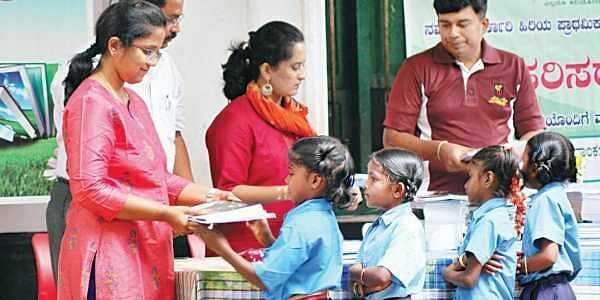 BENGALURU: Every year, when the academic year begins in June, students from hundreds of government schools located in the border areas of Karnataka eagerly look forward to members of Aviratha Trust visiting them. For, the trust members come with free notebooks each year, without fail. While many people and organisations have been making a noise over closure of government schools due to lack of amenities and students, here is an organisation striving to keep such schools up and running. Once the Trust adopts a school for its notebook campaign, it follows up every year. The schools it started with since 2010 are still being given notebooks. The trust has extended its activities over the years. It conducts science workshops for students and also donates sports materials from time to time. It has helped set up libraries, computer labs and provided career guidance to students. In most of the schools aided by Aviratha, dropout rate has fallen down considerably. Student strength has increased and in many instances parents have taken out their wards from private schools and admitted them to these schools. 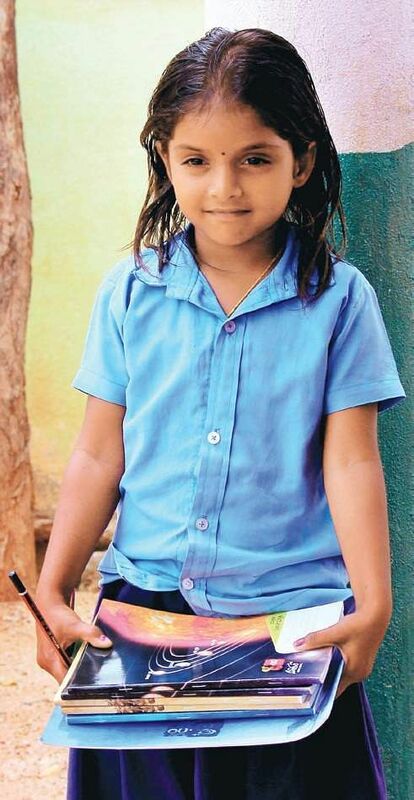 Satheesh remembers an incident wherein a student Sowndarya from Chikkamadavadi near Kanakapura secured admission in the prestigious Alva’s College, Moodbidri, aided by sports equipment sponsored by Aviratha. Another memorable project, he says, has been providing educational scholarships to daughters of devadasis and mining workers at Hosapete, in collaboration with ‘Sakhi’, an NGO. The secret behind Aviratha’s success is incredible. “We are a registered trust. However, we do not have full-time membership at all. Those who wish to join us usually come in, work with us. If a member shows interest in a project, they get to work on it with a team. There is no hierarchy. We are egalitarian and transparent,” Satheesh said. Aviratha’s future plans include distribution of tabs instead of textbooks for rural students. Satheesh says they want to start with a couple of schools and present a report to the government in this regard, so that it can be taken up on a larger scale.